While we love a good laugh, one thing we never kid about is the care and life of your lash extensions. It’s no coincidence that taking care of your lashes gets you the most mileage out of your fluttery friends. Today, we’re sharing some fool-proof ways to keep them at their best for longer! One of the easiest ways to extend the life of your lashes is simply to keep them clean. In terms of your day-to-day routine, that just means keeping up with daily face-washing. If you’ve already built in the suds and scrubs, the good news is there’s no extra task for you. 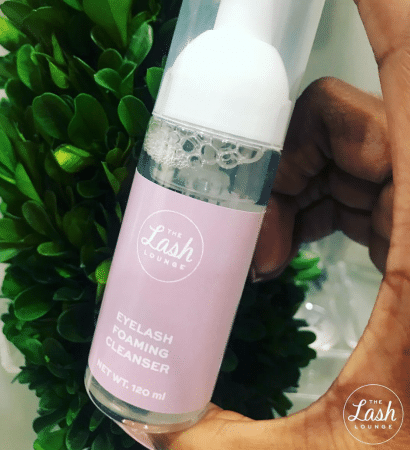 We recommend using one of our oil-free, lash extension-safe makeup removers, which is the best way to keep your lashes clean and secure. Purchase a cleanser at one of our salons and choose from either our Special Makeup Remover or our Eye Makeup Remover Gel. Learn more about the difference between these two life-changing lash cleansers. Use our oil-free and alcohol-free eyewash specifically formulated for lash extensions. Refrain from pulling or tugging your lashes while washing. Simply use your fingertips or a lash-cleansing brush to gently massage the cleanser into your lash line. Rinse with fresh water until the cleanser and makeup residue is removed. Along with cleaning your lashes daily, you’ll also want to make sure you brush your lashes every morning with a clean mascara wand. Why morning? While you’re sleeping, your lashes can tangle and flip to the side, so the secret to keeping them in place is to gently brush through and fluff them. As a general rule of thumb, the less you mess with your lashes, the longer they will last. 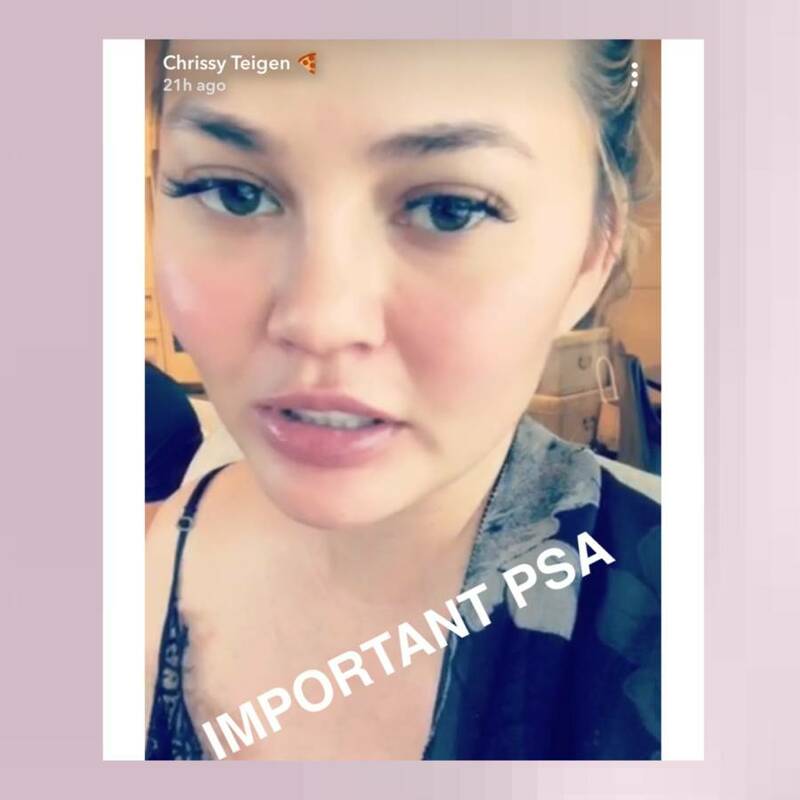 So, no rubbing, tugging or plucking when you have lash extensions! If you do a lot of rubbing and messing with your lash line, this could cause your extensions to fall off prematurely…who wants that? We do know and understand that everyone is human and you may have an itch near your lash line from time to time. The good news is that there are ways to soothe the itch without any vigorous rubbing or pulling on your lashes. A simple trick is to use your mascara wand to gently brush through your lashes. Don’t you feel better already just thinking about it? But if you must, a slight rub on your eyelid in a circular motion is a-ok, too. If you have invested in lash extensions, then you will also want to be sure to invest in a lash sealant. This product goes a long way to extend the life of the adhesive used to attach the extension to your natural lash. It locks your extensions in place for a longer period of time. Be sure to purchase one of the two we offer: our Protecting Sealer and our Black Diamond Coating Sealant. What’s the difference between these two? 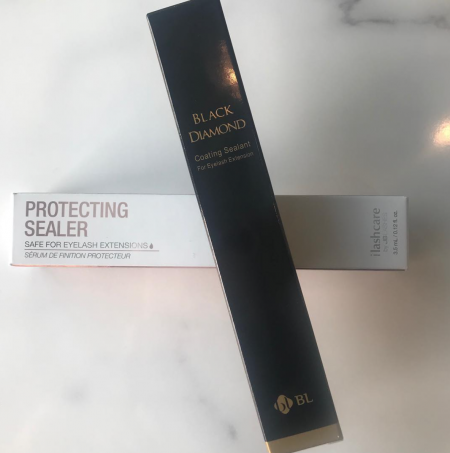 The Black Diamond sealer is a daily use product that adds a darker sheen and helps extend the life of your extensions. The Protecting Sealer is used twice weekly and perfect for those with active lifestyles, those who live in high humidity areas, and those with oily skin types. In short, a lash sealant is the perfect aftercare product to extend the life of your lash extensions and retention in between refills. Next to the investment you’ve made in your lash extensions themselves, purchasing a lash sealer is a close second! Not all beauty products are O.K. to use with lash extensions. Be sure to stay away from waterproof mascara and any oil- or alcohol-based products or cosmetics. And yes, this includes any moisturizers with oil that are applied around the eyes. Check out last week’s post on lash extension-friendly beauty products and cosmetics! 5. DON’T MISS YOUR LASH REFILL APPOINTMENT…LIKE EVER! Keeping up with your lash refill appointments every two weeks (three weeks max) is key to keeping your lash line looking full. When you come in for your refill appointment, your stylist will perform maintenance to freshen up your current set, then place new extensions for added fullness. When you come in for refills on the regular, you ensure a full, lush lash line and a fresh lash look, like we all love! On the other hand, if you don’t keep up with your regular refills, your stylist will have to add more extensions than usual to bring that fullness back. This could mean you need to invest in a service upgrade. This is definitely doable and we can also make sure to book the right amount of time for your appointment so we can get your lashes back to the fab fullness you adore. So, schedule your refill appointments regularly and even ask us about our membership program, which will save you money on regular refills and make sure you’re always looking and feeling your best! You have made an investment on your beautiful long, voluminous lashes, and we want you to protect it! If you’re ever unsure about the products you’re using or something you’re doing that you may be afraid could harm your lashes, talk to us. That’s what we are here for! 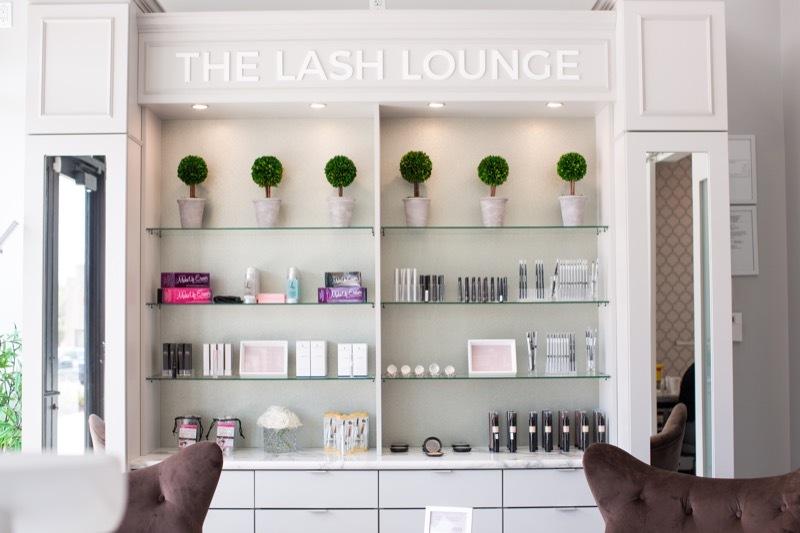 Whether it’s before, during or after your appointment, fill us in and we’ll set the record straight for you…and your lashes. Previous PostCosmetics and Beauty Products: Which Ones Are Lash Extension-Friendly?